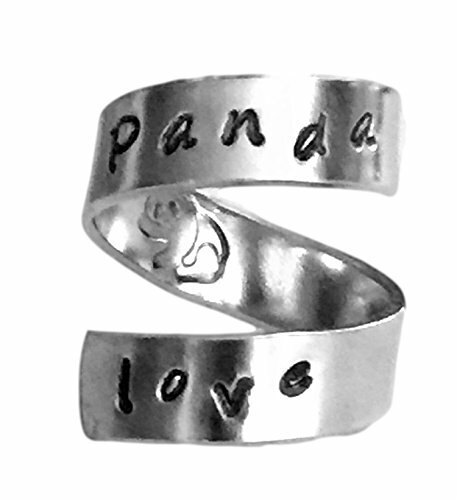 Panda love - Adjustable. For best fit, please let us know your ring size in the notes section at check out. The rings are made out of Pure 1100 Aluminum, which is food safe and does not tarnish. They contain no Zinc or Magnesium which are often found in common aluminum and can cause skin reactions. This also means it doesn't contain the properties of other metals that might tarnish and/or turn your skin green. Please note that due to the nature of hand stamping, every item varies slightly from the photo.